The riding mower is a real vehicle, equipped with technologies and mechanical components for cutting considerably sized lawns both at a domestic and professional level. The care of private or public green areas has increased in recent years thanks to the evolution of the tractors that have become indispensable in many situations: lawns, gardens, football fields, public parks, as well as grassy beaches, golf yards, etc. With the lawn mower, many jobs are less tiring. The brands that you will find, flipping through our online catalog, are the best in the industry and you will surely find the one that suits you: with rear discharge, side, mulching cut, automatic transmission or with gears, traction to reach terrain with difficult slopes, adjustable cutting positions, with a single or double blade ...... many features distinguish them to adapt to the different needs of a vast audience of customers. Simple, functional, efficient models, tailor-made for everyone to make the time spent in the green a beautiful outdoor pastime, in contact with nature. Side discharge and mulching, cutting width 77 cm, power 10.5 Hp, gearbox (4 + 1). Side discharge, cutting width 98 cm, power 12.5 Hp, mechanical gearbox (5 + 1 gears). 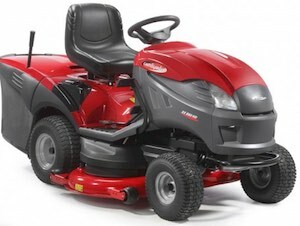 Purchase guide to the ideal lawn mower. 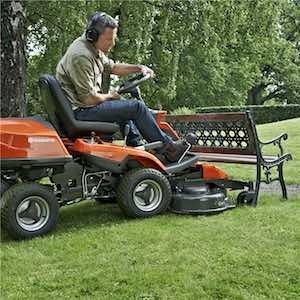 A lawnmower is a tool used to cut grass in large lawns and wide spaces. A vast line and a growing demand have made the market more and more varied. We provide you with a short purchase guide, to help you choose the tractor that best suits your needs. 1. Which cutting and collection function is right for you? The tractors have different cutting functions, choose the one that best suits your needs. RIDER riding mower and RIDER tractor with a collection basket : These tractors have a collection basket located at the back where the cut grass is collected. Some models have the possibility to empty the basket directly from the machine, pushing a lever . The collection basket is ideal for those who do not want to leave the grass cut directly on the lawn . If you then decide to remove the collection basket, you get another function: the rear discharge of the cut grass. RIDER riding mower and RIDER tractor with side discharge : It is possible to unload the grass directly on the lawn , since a deflector placed sideways is connected to the blade plate , so as not to have to disconnect the collection basket and empty it. Ideal for those who do not need to dispose of the grass. 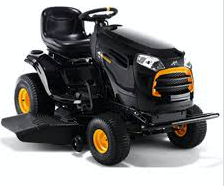 RIDER riding mower and RIDER tractor with MULCHING cutting function : In some tractors it is standard and in others it is optional, putting a cap in place of the drain . The grass thus remains inside the cutting plate, the blades create a vortex that lets the grass left by crumbling it into small parts . Finally it is released under the tractor, acting as a NATURAL FERTILIZER . 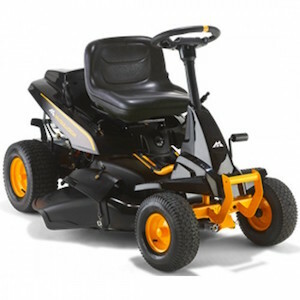 For steep terrain or with obstacles, the TRACTOR RIDER is the most suitable because it has a greater steering angle , so you can shave the grass without problems of maneuver. It is ideal for mowing lawns from 1500 square meters to 2000 square meters . If you will use these tractors on very large and flat surfaces what you need is the RIDE ON MOWER . It is bigger than a rider because it is suitable for surfaces up to 10 thousand square meters . 3. There are two types of cutting. Be careful. With blade : this can be classic or accompanied by a jet of air that raises the grass, making the cut clear . Propeller blade : two blades working simultaneously cut the grass in a clear way. Please note that there are models on the market that have a cutting width of between 77 cm and 140 cm. Obviously the wider the cut the less time will take to shave the affected area . Mechanical : the change takes place through a lever . Hydrostatic : the blade change takes place through an electromagnetic clutch control button located on the dashboard. 5. Mechanical transmission, hydrostatic or automatic? With the mechanical system, it is possible to use up to 5-7 speeds . They can be changed through a lever . With the hydrostatic system instead, the speed is not changed manually because it is gradual and continuous . Finally, there is the automatic transmission , where the speed can be easily adjusted via pedal . The gearshift lever is only used to select the direction of travel (forward or backward), so there is no need to change the gears. McCulloch offers a highly technological machine , powerful and at the same time easy to use . It possesses the body in enameled anti-corrosion and anti-rust steel and the body is resistant to shocks, offering a reliable and durable tractor over time. Double pedal : to move forward press the pedal with the tip of the foot, to go backwards just touch it with the back part of the foot. 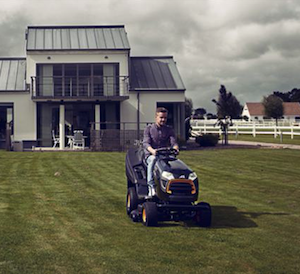 Basically, you can drive the lawnmower with the sole aid of the right foot . Hydrostatic transmission : by applying progressive pressure on the pedal, this activates the transmission , which changes the speed without ever stopping the machine . This will result in a continuous and more precise performance . This mower was designed by McCulloch to be used by those who need an agile and powerful machine . 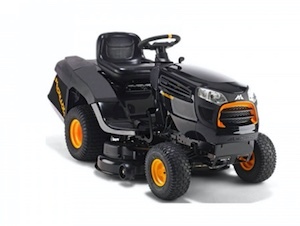 For this line, McCulloch was inspired by the Cross Over automotive and produced the Cross Mover for gardening by combining the power of a tractor and the maneuverability of a lawn mower. 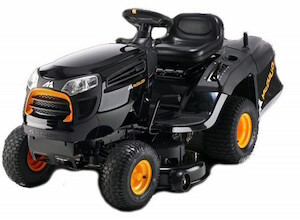 The M105-77X is equipped with a Briggs & Stratton engine and a lateral exhaust system the with possibility of mulching . In addition, the position of the raised seat and backrest allow one to have a complete view of the cutting area . Husqvarna is one of the world leaders in the gardening industry; its products are innovative and always at the forefront . 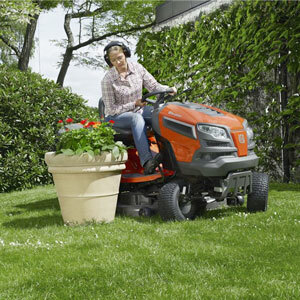 It offers lawn mowers that are easy to drive and technologically advanced . It allows you to cut the lawn with all the necessary comfort . The most important quality is the steering technology that allows you to perfectly bypass every obstacle , for optimal results with minimum effort. 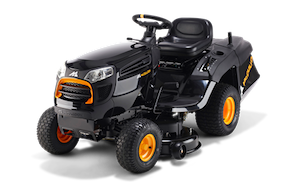 Generally, the maintenance of these types of machines is difficult and tedious, but this is not the case for Husqvarna tractors: the cutting deck can be disassembled , cleaned and replaced without the aid of tools , thus making the operation easy and safe . Finally, maintenance of the cutting deck is minimal as it is reinforced and powder coated to withstand time and weather. Castelgarden provides a vast range of riding mowers, both for the less experienced users through hobby tractors , and for the most demanding users through more professional machines . Lawn tractors can have various cutting widths , ranging from 66 cm for small lawns to a maximum of 1 22 cm to smooth even the largest surfaces. The large wheels make them suitable for even or uneven and rough surfaces , the anti- scale wheels ensure a leveling cutting plate always protecting the grass. 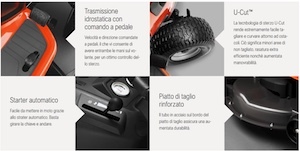 The tractor mower Rider is designed not only to cut the grass in an optimal way , but to offer user comfort , efficient care of the garden, and thanks to a wide range of accessories, it is a complete machine for all seasons. This Rider line is dedicated to both hobbyists and professionals . All Husqvarna rider tractors have cutting plate frontally , this allows a complete view of the area to be cut and an optimal cutting performance with well-finished edges. With the two cutting systems, you can choose between Mulching cut for natural fertilization or the classic rear discharge . The direction and speed are managed by the operator through pedals , this allows a firm and secure grip on the steering wheel. In addition, the ergonomic seat does not tire the back making work less tiring .